We all are aware of the benefits of natural ingredients for our skin, but rarely do I see anyone putting an effort to include natural ingredients into their beauty routine. I can’t blame you, who has got the time right? In fact I myself cannot remember the last time I prepared a homemade/natural beauty recipe myself. When a product like Medimix brings together more than 15 natural ingredients in an splendid Ayurvedic concoction that can fit into the palms of my hands and can be used daily with ease, it acts as a lifesaver for me. Even in its new avatar, Medimix makes me reminisce my school days. 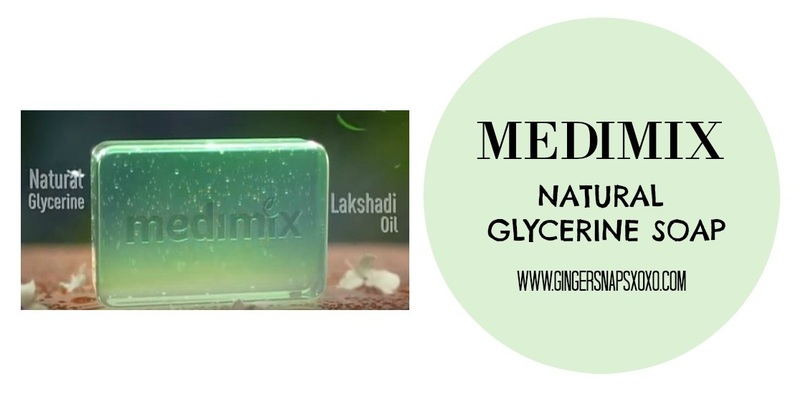 Medimix Ayurvedic Natural Glycerine With Lakshadi Oil contains a unique combination of the purest and finest grade vegetable glycerin and the time tested Ayurvedic formula of Lakshadi oil to effectively prevent dry skin. The soap is light green in color and has the usual fragrance of a glycerine soap with an Ayurvedic touch to it. It lathers well and as Medimix puts it, it turns an ordinary bath into an Ayurvedic ritual. I have been using the soap regularly and it indeed cleanses the skin without striping the skin of its moisture. My skin is oily, sensitive and does not get extremely dry in winters. My skin is also quite irritable, and turns red and irritated easily. This soap is an ideal cleanser for my type of skin, as along with cleansing and moisturizing, the ingredients of Medimix also help soothe common skin ailments. Medimix Ayurvedic Natural Glycerine With Lakshadi Oil is a great cleanser for winters and can be used all year round as well. And it feels so good to include Ayurvedic ingredients into your daily beauty routine, because what can be better than going natural?